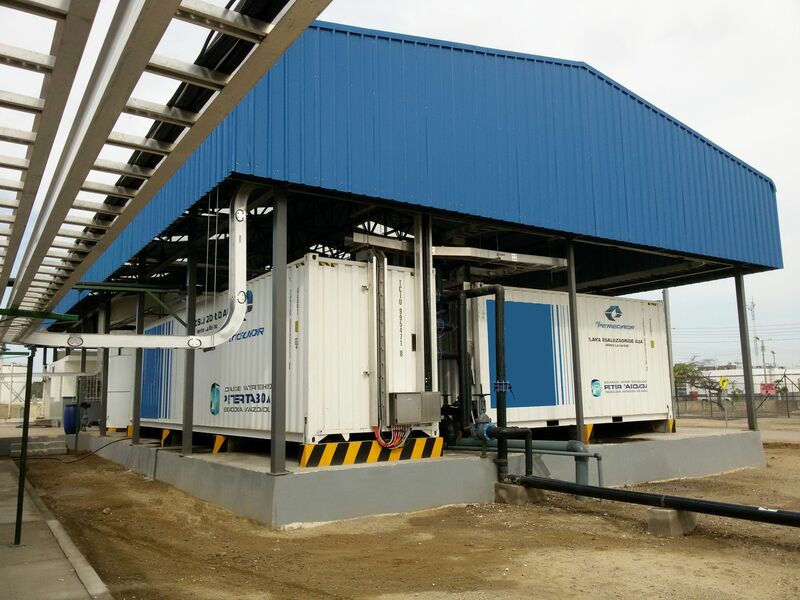 Three stage containerized desalination plants to produce technical water (<5ppm) from sea water. 1st container: feeding water filtration system. 2nd container: sea water desalination system. 3rd container: RO system to reduce salinity.